Dr. JoAnn Cox, our Alaska project leader, at the top of the world in Barrow, AK. 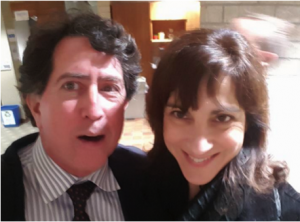 With our project manager Deborah Forman in Eagle, CO. In my last update, I told you about Public Works merging with Sequoia Consulting Group, allowing us to offer a wider range of services. Even before, however, we’ve been moving to expand and deepen our work in one policy area of particular interest to us: education. Public Works deepens work in improving education in government taking this to new extremes. 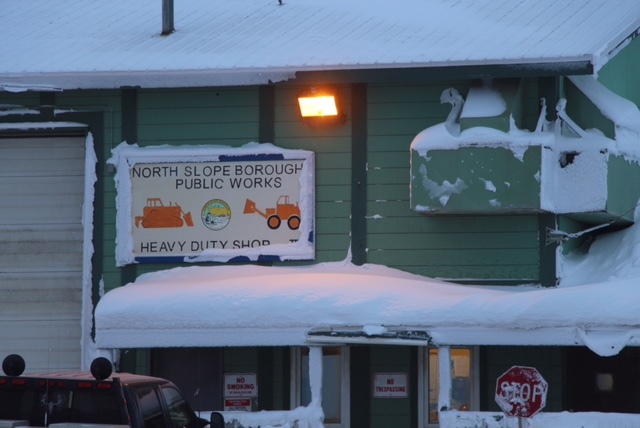 This year, Public Works is literally taking our education work to new extremes: We’re undertaking reviews of both the K-12 and post-secondary education agencies in Alaska – and just this week we launched a new project to expand early childhood education high up in the Rockies. 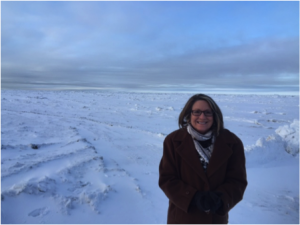 At the top are pictures of Dr. JoAnn Cox, our Alaska project leader, at the top of the world in Barrow, AK, and of me with our project manager Deborah Forman in Eagle, CO.
We’ve also been joined by Laura Dukess, a long-time specialist in educational leadership, and we’ll be adding additional experts as our practice further expands. Education also is a key part of the social venture activities I’ll be undertaking now in addition to my continued public sector consulting (more on that in a coming update). — One of our earliest projects was comprehensive research on early childhood education for the California Commission on Families and Children. We designed a national strategy on early education for the Center for National Policy, and the nation’s first Cabinet-level Department of Early Learning engaged us to identify innovative funding approaches. We also designed an expansion of Iowa’s Statewide Voluntary Preschool Program, and last year coordinated transfer of Louisiana’s Child Care Development Fund to the state’s Department of Education. — We’ve conducted performance reviews of school operations in New Orleans and four South Carolina districts, helped to streamline the school construction process in California, and wrote a comprehensive strategic plan for professional development in the New Brunswick, NJ, school district. And we designed an innovative Crisis Response Box program in California and Mississippi for addressing school shootings. — In education policy, our statewide review in West Virginia not only identified $90 million in savings but also defined strategies to improve teaching and technology use. In Arizona, we studied the alignment of K–12 public education with post-secondary and workforce demands, and we helped establish P-20 councils in both Arizona and West Virginia. We also recommended improvements in teacher licensure, accountability and assessment, and charter schools in New Mexico, and developed a comprehensive K-12 agenda for New York City. And we produced a report for the California Department of Education on modernizing “Voc-Ed” into Career and Technical Education for the 21st century. — We’ve worked on access to higher ed with a complete overhaul of California’s student loan guaranty entity, and a college scholarship program for Cuyahoga County, Ohio. We partnered with the world’s largest university system – Cal State – on expansion of applied education doctorates, a Centers of Excellence program in STEM education, and reorienting the state education system to high-demand fields. We also developed the strategic plan for a regional technical education center at UNM-Gallup and a gap analysis of community college needs in northwestern Pennsylvania. Look for more from us in education as 2016 progresses! 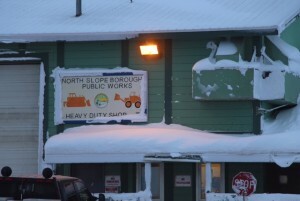 North Slope Borough “Public Works” office in Barrow.